The BBC says it is proud that Doctor Who is leading the charge into a new era of TV watching. The first episode of the sixth season of Doctor Who has entered the record books as the most recorded show in British TV history. The episode, called "The Impossible Astronaut," was time-shifted - which is to say, recorded and then viewed within a week of the original broadcast - by more than 4 million people. Edward Russell, brand manager for the show, said that the figures proved something that the BBC had known for a while: that the way people were watching TV was changing. He added that he, and everyone who worked on Doctor Who, was proud that the show was at the forefront of these new viewing habits. The BBC also noted that the Doctor Who website had received records numbers of visitors, and millions of people had watched the exclusive content that it offered. It's an interesting contrast to earlier fears that the episode might wind up being the lowest viewed season premiere since the show relaunched in 2005. 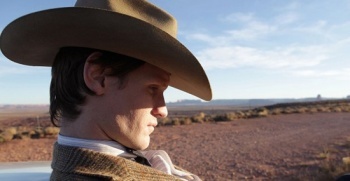 The overnight figures for the episode came in at an average of 6.5 million, but when the final figures came out - which included the full week's worth of time-shifted viewing - the total came in at 8.8 million, putting the episode ahead of "New Earth" from 2006, and "Smith and Jones" from 2007.